I’m so excited to have one of my favorite floral designers, Denise Fasanello, join us as a regular contributer, and showing us all the ways florals can be modern! 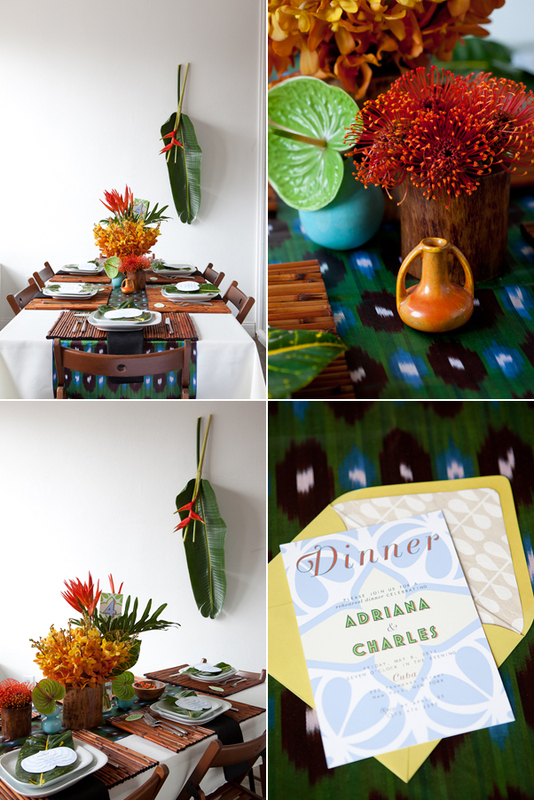 She blew us all away with her Modern Tablescape Challenge submission (and won!) so you KNOW she’s going to come up with great ideas! Welcome Denise!! What is modern in floral design? Is it clean lined and slick? Geometric? Does it lean towards minimalism? Yet, can it still be romantic and feel natural and organic? I say yes to all of these hypothetical questions because Modern to me is more about making a strong design statement regardless of trends. It takes its cue from what’s happening currently in design, fashion and interiors rather than from the floral or wedding industry. It’s not about creating work that looks the same regardless of the venue. Yet any venue or setting can have a modern floral design approach. For me modern is not overly complicated or fussy. It’s not about placing flowers in unnatural positions. Its not contrived. It’s youthful and fresh with some unexpected detail. I am beyond excited to develop these ideas with you as a regular contributor at Brooklyn Bride. There’s no place better to explore these concepts than here. 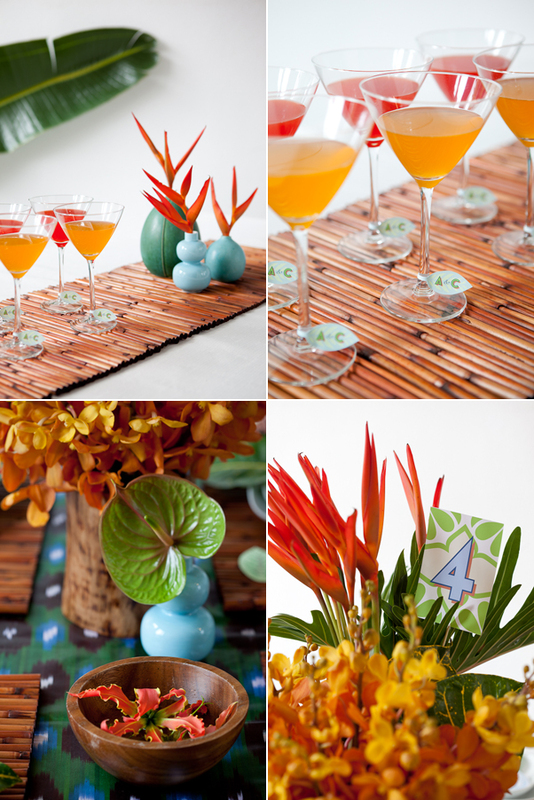 Love this tropical look with all the wood & bamboo elements, plus anthuriums and bird-of-paradise blooms!